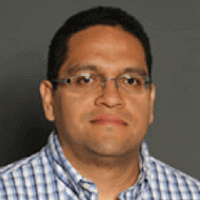 Dr. Alejandro J. Prera is an assistant clinical professor in the WSU School of Economic Sciences where he has taught courses on microeconomics, macroeconomics, natural resource economics, environmental economics, econometrics, and personal finance at the undergraduate level. He received his Ph.D. in economics with a concentration in environmental and natural resources from the University of New Mexico. Dr. Prera’s current research focuses on forestry management in the southwestern United States, risk management in the brewing industry, and urban water policy in Brazil. Before earning his Ph.D., he worked as a financial assistant for World Bank and Inter-American Development Bank funded projects in Guatemala.